I blogged on one of the good points of the queens speech 'Queens Speech Equitable Life Bill‏'. Now for one of the more worrying points within the educations bill specifically free schools. My concerned is the plan to allow parents to setup their own local school or Free state school. The new "free" state school will be ran by parents, teachers or charities. Funded by taxpayers but, independent of the state. Firstly does this mean less funding for other established schools? What controls will there be to make sure parents don't setup schools for all the wrong reasons? For example on BBC Five Live during the election I heard a lady ring into a phone in and say that now she can setup a school for our people. When asked who are people are she replied 'White people'. I'm not so concerned that only Middle class or chattering classes would setup these schools I'm sure many people of all backgrounds will want to setup these schools if they are not satisfied with the choice given in their area. Many for good reason. What I am concerned about is what checks and balances are being used to monitor and ensure these schools are not setup for the wrong reasons. I'm also not a fan of faith schools, I can imagine many more of these schools being setup thereby imposing faith on children or excluding others. What will happen to these schools when the children grow up and the parents can't find other parents to take over. Do we close these schools or hand them over to the council? Will the parents have too much power over the teachers? I guess have have alot of questions so I will have to wait on the full details of the bill, Lets hope there are plenty of safeguards and reassurances within the bill. I'm going to blog on one good point of the queens speech and write another blog on an aspect of the Queens speech that concerns me. Here's the good point blog, Of course all the Liberal, Fairness and social values for me go without saying so heres a subject that has not been widely covered in the political blogosphere. 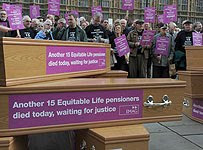 One Bill which has not been heavily covered in the Queens Speech is the Equitable life bill. Equitable Life allowed large unhedged liabilities to grow while guaranteeing fixed incomes to investors. This situation of course could not continue and in 2000 the House of Lords ruled that Equitable Life had to close to new business drying up any income and payments were reduced greatly to its investors (pensioners). A number of reports were commissioned by the government (the Penrose Report) and the European Union plus various legal actions but still Equitable Life policy holders were not paid compensation even after a 4 year investigation by the Parliamentary Ombudsman. The government in 2009 appointed Judge Sir John Chadwick to come up with a compensation scheme. Many findings were rejected by the government and despite Equitable Members Action Group bring pressure to bare on the government and asking for interim payments, non of these payments where made. Policy holders in many cases have seen their pensions paid in good faith halved. One question I was asked a few times when I was knocking on doors is "What are you going to do anything about Equitable Life policy payments". One man said that we would do nothing to help. I would like to go back to that door and say too him see. He also didn't believe the me when I told him that the Lib Dems would restore the earnings link to pensions. I'm very tempted to knock on this mans door again and say see its going to happen. The Bill promises to compensate both current and deceased policyholders and for this not to be means tested. I'm very pleased that after years of inaction and promises that something is now going to happen before more policy holders pass away (30,000 have already died). An independent commission will determine the method of payment but the main point is that these payments will be made. How should Labour play Laws? So should Labour try to split the coalition. They have an opportunity to use David Laws for political gain or stay quiet on this issue bearing in mind their own gremlins. If Laws is replaced by say John Redwood this could actually cause a rift in the coalition so could a more left Liberal Democrat. There are not many experts remaining within the Tories or the Lib Dems to fill Laws shoes and we have already seen that George Osborne does need support. Maybe Vince Cable however I don't believe Vince and George could work that closely together. At the moment the polls still put the Tories in the lead on 39 points and a general election would still result with a Conservative win but still short of seats. Liberal Democrats would lose some seats and Labour would gain some but the end result would still be the same. Worse for Labour would be an outright Tory win. The Tories only need a few more percentage points to win. It would be very damaging for Labour to lose again so soon after the last loss. The real danger for Labour would be a win with again a hung parliament then having to form a coalition again with the Liberal Democrats. Labour would have to make the cuts on public services themselves. This would leave Labour with no stick to attack the Liberal Democrats with or indeed the Tories with and in the next general election would result in a hevy lose for Labour. Labour of course do not have a leader yet and this contest needs to be played out first. So I'm not sure Labour will want to attack Laws too harshly because It's not in their interests to damage the coalition and end up fighting another election now. Labour need time just like the other parties also need time as no party accept perhaps the Conservative party could fight an election at the moment. Only only have to look at the recent result in Thirsk and Malton to understand the dangers of trying to destroy the coalition at this stage. As you can read in the Spectator 'Encouraging early signs for the coalition' The Conservative and Liberal Democrat vote went up while Labours was down. David Laws recent expenses scandal has been well covered all other the blogger-o-sphere. So I'm not going to wade into this subject but link to it. I think this does not only look bad but his claims were wrong. David does not need the money and should of made renting arrangements with someone other than a partner even if it would of cost more. I also think that because David Laws was trying to keep the fact that he is gay a secret it has led him down this avenue. Gay men can have very loose relationships as it is more accepted within the gay community to have an arrangement with a partner. In this case David Laws has said that they lead seperate lives. This is hard to explain so he has stated that he is a partner. Again I do think this expense claim is wrong but it does appear that Laws believed that in 2010 you still can not be gay and hold high office. This is a massive shame as the country needs David Laws financial skiils but personally I would be surprised to see him in office on Tuesday. I fail to understand how Bracknell Forest Council’s planning committee could be split over such a small site for gypsies and travelling show people. The site located at at land off Wokingham Road, near the Wellingtonia Roundabout, Sandhurst. This site only has two bays, surely two bays can not cause that much traffic. Should we expect caravans to be driving out of this site every day? Could the reason why some people don't want Travellers at this site is because they simply don't want any travellers anywhere near them? The government plan to require sites for caravans is in an effort to halt unauthorised sites. This plan at least is an attempt to tackle sites being setup anywhere illegally at any time. It's time to stop this not on my doorstep attitude we have to anyone in this country who simply don't live the same lives or have a different culture. The coalition should of had a minister on the BBC Question Time panel last night. I also think Labour should of had a Shadow Minister on the panel to discuss the queens speech. However the BBC had booked Alastair Campbell (the Labour spin doctor) and while there is a strong argument to say he is not elected and therefore can't represent Labour its also true that he has been very much involved with Labour policy and is practically an unelected MP. I think a Minister could of point out Alastairs involvement with the Iraq dossier and could of taken him on. This has resulted in a political win for Alastair Campbell as he can now claim that the new government doesn't have the balls to stand up to him. 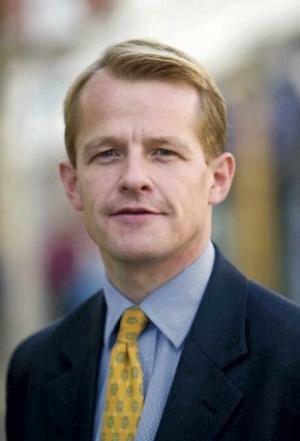 If the rumour is true that David Laws was going to be on the panel then I for one would of had full confidence that he could of done a great job for both the government and for the Liberal Democrats. The government can not dictate who is on the BBC Question Time panel and this should not happen again, next time Ministers should face whoever it is. After all this is question time for the audience to question there MP's as well as commentators to question them on the panel. I notice that Iain Dale (Tory Blogger) feels the same way on this subject as me see Two Wrongs at Number Ten. UPDATE: Local Blogger Andrew Best as informed on the commentshas a good old fashioned rant while the show is still on see here. On Tuesday I made my House of Comments debut with Walaa Idris Conservative Blogger, Tracey Cheetham Labour Blogger at A View From the Public Gallery, Mark Thompson Lib Dem Blogger at Mark Reckons and Stuart Sharpe of Sharpes Opinion. I managed to stumble my way through, The subjects of the Queens speech, The removal of the Parliament Square protest, Diane Abbott running for the Labour Leadership and the Times Newspaper pay wall. CAMPAIGNERS who walked out of a council meeting have vowed to fight plans for housing development. I have not been impressed by the recent Newspaper stings of No1 snooker player, John Higgins ,Lord Triesman chairman of the 2018 World Cup bid sting and the Sarah Ferguson Access to Prince Andrew sting. Are these attempts to make news rather than properly investigate corruption. Where's the investigative journalism of actually corruption found within the system. Where is the investigation into what Lord Triesman claimed for example, why not investigate corruption (if any) within football itself. I wonder how many failed sting attempts have been conducted before these stings came off. Is this just lazy journalism? Whatever the rights and wrongs of the recent case where so called known terrorist could not be returned to Pakistan. I fail to understand why we don't have an agreement with Pakistan. Pakistan is both an ally and a commonwealth country, how can we not have an agreement with them that people returned to Pakistan won't be tortured. If you remember how much hot water the last government got into when Britain was implicated in the torture of terror suspects because of the alleged use of CIA planes in British airspace and soil to take suspected terrorists for torture in secret camps abroad and the alleged MI5 Agent questioning of former Guantanamo Bay detainee Binyam Mohamed. These situations are always blamed on the Human Rights Act (which I think should be reviewed) but is it not also a failing of diplomacy that we can't sent foreign nationals back if we believe they are part of a terror network? Just imagine what would happen if it turned out Pakistani terror suspects were tortured and then found to not be terror suspects after all. The Daily Mail current says Human rights cave-in: Cameron pledged to scrap Act... now Clegg champions it under ANOTHER coalition compromise. Would it not change to a similar headline to this Torture, a cover-up and Labour's shame. Its very hard to get this right because it can all go so so wrong. There is another issue that is not considered and thats prisoner release in Pakistan. Pakistan also release known terrorists, there is bribery and more chance of an attempted break out by milliants. So if you have a known terrorist and want to monitor them then sending them back to Pakistan is no guarantee of safety. Another way to get people convicted is ensure that a jury can hear the case rather than a judge. There must be a way of protecting security information and operatives and providing evidence. Also control orders should be replaced with a better alternative such as a monitored open prison which would be better than a tag at home. One more point if the Human Rights Act was changed or replaced by the British Bill of Rights and this meant you could send known terrorist back to countries known to torture, then won't the case simply go to the European court of Human Rights and end up costing the public even more money to get the same result? I'm not so sure this is a coalition. It seems looser than a coalition to me. I know this sounds odd but let me explain. Nick Clegg has the space to make speeches which include some Tory policys as shown yesterday in his political reform speech because this is strong Liberal Democrat territory. Also afterwards Teresa May speech on giving powers back to the police (showing trust) included aspects of Lib Dem policy. It seems that this coalition is providing the space for the parties to express themselves as Tories or Liberal Democrats as well as coalition partners. I would be very impressed if they can continue to carry this off. I think the Ministers are trying to edge out space which should allows enough room to move within a coalition and then allow it to stay together. Just like a plane wing a coalition needs flexibility to move under pressure otherwise it will snap under the pressure. One problem could be the Human Rights Act. I expect if it was scraped not only members would leave the party but MP's too. Lib Dems may not want the act replaced by a British Bill of Rights but I think people may be surprised by how the Lib Dems can compromise after the review. The review may be a way of kicking this subject into the long grass but at some point the review will be done and it will have to be tackled then. The Human Rights act is extremely important but I do not believe it is perfect. This will continue to rear its head if we do not have agreements with countries who are indeed members of th commonweath and Allies. So will Lib Dems and Tories have the space to talk about their feelings on the Human Rights Act. I think they will once they get used talking about subjects which the two parties do not agree on. Ray Earwicker Lib Dem PPC for Bracknell believes that some criticism of the election campaign is justified. Here are his thoughts. The leadership pressed home the four tenets of fairness underlying the campaign for far too long. Once it became clear that the main focus of the debate had shifted on to more controversial areas such as immigration, Europe and Trident we should have been ready to counter more effectively the arguments put forward by the media and the opposition against our proposals. The fact that we weren't able to do so undoubtedly lost us lost votes towards the end of the campaign, as the opinion polls all too clearly showed. My second criticism concerns the presidential nature of the campaign. This may have been unavoidable given the pressure from the media to make it one but it prevented other members of the campaign team from making a bigger contribution to the campaign and may be taking some of the pressure off Nick. It also meant that the focus of attention remained on personalities rather than policies. Thirdly, if there are any criticisms to be made of the organisation of the campaign, I would support those who found it difficult to obtain policy advice or guidance from HQ during the weeks before the election. The decision to replace the well-established Extranet information system with the new Huddle software package just before the election was asking for trouble. It was difficult to access, slow to respond and almost impossible to navigate; when time is of the essence familiarity is essential, especially for technophobes like me! The quality of the advice, however, that was eventually provided was generally excellent. Finally,HQ need to ensure that candidates have a clear understanding of the lines of communication; who is responsible for what and how they can be contacted. Trying to make contact with Cowley Street is never easy but during the campaign it was like trying to make contact with the other side - is there anybody there? I am not a parliamentary candidate so I do not know much about the Huddle system but I too have some thoughts on this. I believe that Liberal Democrats should of defended some seats better. For example, I like many others was disappointed to not only fall back in Oxford East where local Liberal Democrat campaign teams were directed too but to of lost Evan Harris in Oxford West. Next time I will be helping to get Evan Harris elected as his scientific background was a great loss to the parliament in general. Newsnight showed a few seats where the surge caught the Liberal Democrats by surprise. This didn't happen locally where teams campaigned hard. but I do feel as if the surge and seat targeting perhaps directed Liberal Democrats away from defence. This I feel was inevitable because the surge too along time to decrease and was more spread between seats (second place in 242 up from 188). Seats where much less predictable on national swings than anytime I can remember. Result really varied and I think there were local issues affecting many results. I will add that individually I was impressed with the Lib Dem MP's on the media. If there was any wobbles it was because there was not a comprehensive response to defend some policies. I think this period of shared power will improve the Lib Dems arguments and battle for ideas. I attended the Liberal Democrat Special Conference details of which have been blogged by Jennie Rigg, Mark Reckons and theuglytruthandthebeautifullies. This meeting was not required. I thought it was brave of the Liberal Democrats to hold this conference to make amendments to the agreements and to vote on the memberships agreement. This is risky because if the party did not achieve the required 2 thirds then I believe there would of been a crisis within the party and further later confirmations votes may of been required. Can you imagine how uneasy Lib Dem MP's would of felt know that they did not have full support. The media would of also ask questions on the support amongst it members. Was this the reason why the media were left out? Why was this meeeting a closed meeting? 100 people have left the party since the coalition agreement (im told more have join in that time). I feel the Liberal Democrats missed a trick here. There were some great speeches some of these could of made the news and atleast should of been shown on the parliament channel. Arguments for and against could of been heard and understood by the wider members and supporters. The event was filmed as there was a large screen behind the stage. I hope all of this footage will be released as there was nothing to hide, nothing to fear and plenty of democracy that could of been shown. If there is a next time Lib Dems, please make it an open meeting. The Bracknell political blogosphere has been expanding lately. New bloggers Andrew Best at blogpolitica which is an independent blog from the Sixth Form question time organiser Andrew Best. Lib Dem ChinoChick who blogs at Theuglytruthandthebeautifullies ChinoChick is Bracknells Consistencies first female political blogger. I'm very pleased to be part of a growing blogging community and pleased to say I have meet all the above bloggers more than once. We current have 3 Lib Dems, 2 Conservatives, 1 Green and 1 independent blogs so Labour and indeed UKIP where are you? Come and join us? 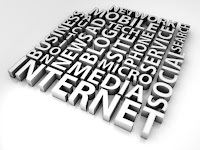 If anyone in the local area does start a new blog please let me know and I will link to your blog. Frankly im gutted that the Norfolk Blogger and Broadland District Councillor Nich Starling disagrees so fundamentally with the Liberal Democrat Federal Executive decision to work with the Conservative party in a coalition. I have great respect for Nich as he is well know in his community and a hard working councillor and is highly principled and a critical believer in Liberal Democrat policies (he is not a fan of the EU for example). I also enjoy reading his blogs about nation politics but I also really like the way he covers Norfolk politics, this has been an inspiration for me covering both national and local politics. If you had political fights with the Tories for 20 years how would you feel. Many would feel and react the same as Nich. Frackly its not easy to swallow and I'm not looking forward to getting our hands dirty. Nich reasons to not sit with the tories are all reasons I agree with and all reasons why I find it difficult. I have already argued why I was not concerned about a hung parliament or a coalition with the party with the most votes. I also think that no matter which way the Liberal Democrats went we would of been lambasted and people would of left the party or stopped voting for us. I'm not going to try an persuade Nich Starling. He a much more articulate debater and writer than I am and I do not believe I could change his mind anyway. He has made his mind up and I can fully understand why hes not happy. I can't disagree with Nich on some of the points he raised. for example AV is not proportional and the right wing press will do its damnist to ensure AV itself does not come in let alone a fully proportional system. The Tory party will campaign against it. Although I would be very interested in seeing how Labour handle this referendum. However AV I believe is better than FPTP as at least an MP can claim to have 50% of the vote. Then again we have to win this referendum first. I still also believe that we have to prove to the Tories that coalitions can work and to the public which would support our argument for a PR system if the Tories and the Lib Dems can hold together a coalition government. I also agree that we do not have the most powerful cabinet positions althought I would argue that Home Secretary is a dead end job (always leads to tears). I do wish Paddy Ashdown received the Defence minister post. I think if we had more MP's we would of received one of the more powerful ministerial positions. I also agree with Nich that education should of been a Lib Dem position. 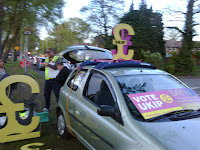 Nich does mention that the Lib Dem MP's were tempted by ministerial cars. Well I'm not so sure about that, Liberal Democrats don't become MP's for power if they did they would join one of the other two big parties. Liberal Democrats genuinely believe in the values of the party and it's so much harder for Lib Dems to win a seat because people believe that we can't have any power. Surely if Lib Dems are to be more than a pressure group at national level we need to get our hands on power. Yesterday the Labour MP for Bolton East Yasmin Qureshi on BBC Five Live accused Lib Dems of wanting power. OK I admit it we do want power. Did labour not want power? Surely Lib Dems should want power to get some Lib Dem policies life in the real world. 1.Not a full coalition: Lib Dems would still be seen as 'supporting the devil' and to of wimped out. Lib Dems could still be blamed for Conservative policy. 2.No deal with anyone - Right Wing press would of claimed that we wimped out and others would say what's the point of a party that bottled power. We would lose credibility as a party that is scared of power. 3.Rainbow Coalition: The SNP would of loved this more power to them then anyone, holding parties to ransom on any Scotland cuts, this would not of lasted. Labour just think the Lib dems are a political arm of Labour with some crazy Liberals to boot. Labour were not prepared to give us anything. I also believe that under FPTP (which is designed for a two party system) There will always come a time when the 3rd party gets to a critical mass where it takes votes away from the other two main parties. When this happens it has too make a decision to move it forward. This could of happened during the leaders debates, but it was not to be. That moment won't happen again. So this is it, this is the only way. In a Hung parliament is the only chance the Liberal Democrats are going to get. I would support the Liberal Democrats in a coalition with Labour or the Conservative party because this is the only chance. Liberal Democrats can't seem to increase their support beyond the current percentages until they can be seen to govern. I don't want to be in a protest party. I don't want to be in a party where people only vote for us because we are not Labour and they want Labour out or we are not Tory and they want the Tories out. I want people to vote Liberal Democrat because we have values that they believe in that they want to see in power. I also want people to vote for their party and to not have to vote tactically. Its time Liberal Democrats stopped trying to get the tactical vote and started to get a genuine built up support for its ideas. I want people to vote positively not negatively. 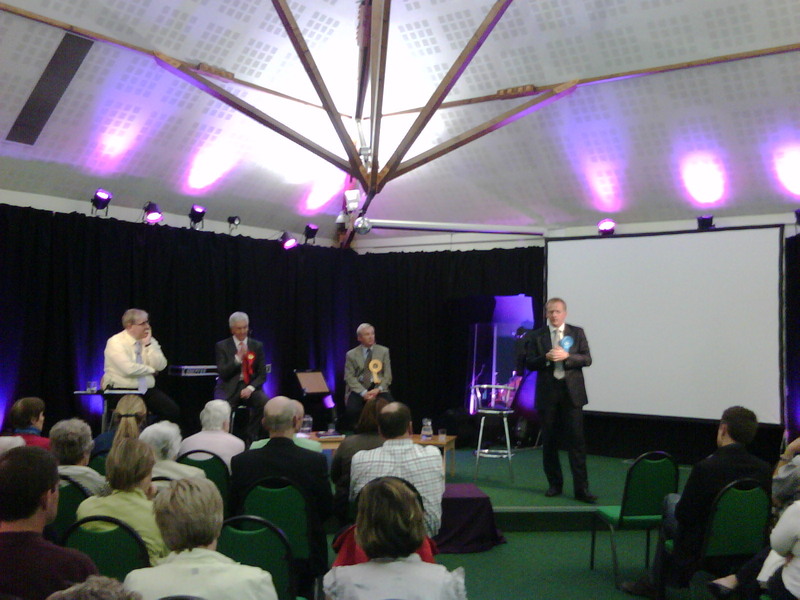 In Bracknell the Liberal Democrats came from 3rd to 2nd using arguments not bar charts. Lets take a risk because this is the only way Liberal Democrats will get to change through crisis management and risk taking. I just hope the Liberal Democrats come out the otherside. It's certainly too late now. I also hope the Norfolk Blogger can stomach the decision for a full coalition. 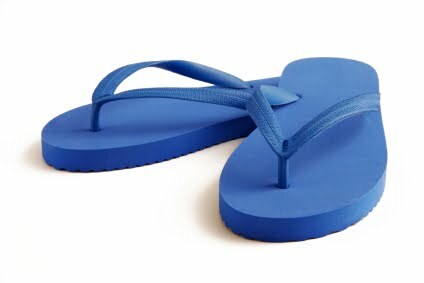 Just ordered these blue sandals too. I thought I would get this in before a Labour blogger gets it in. Heres a bar chart for the election in 5 years time (I jest). Of course this can be used anywhere in England other than Brighton. Doesn't really matter if the bar chart proportion are correct to percentages, it works anywhere. It does show a real danger for the Liberal Democrats although I trust not all Lib Dems are Labour voters. Of course this is a serious matter but I just wanted to have some fun for a change. I know many Liberal Democrats won't be happy but Lib Dems always said they would work with whoever gained the most votes. Labour did not want to compromise and many Labour MP's spoke openly against a coalition with the Lib Dems. Many in Labour knew that it couldn't work when they had so few seats it couldn't work. Labour was ready for opposition. Personally I'm pleased and optimistic. I don't see that there was any other way of getting some Lib Dem policies into government under the current voting system. Could the Lib Dems really say no to such a deal. Tories have given a lot of ground as have the Lib Dems. It's dangerous and some people who voted for us won't be happy, but over time we need to prove that it can work. I think when the £10,000 allowance comes in (yes it's phased a compromise I know) this will be a clear Lib Dem policy that people will know the Tories have taken on board from the Lib Dems. If people like this government then Lib Dems will be ok. This risk is required for all parties. 1. Labour need a spell in opposition to help them rebuild their party. find their feet on what kind of party they want to now be and select a new leader and come up with new ideas. they can also call the other two parties the opposition. 2.Tories could not be running a government without us or at least one that was a highly disadvantaged minority government. Work with the Liberal Democrats will hold back some of their right wing tendencies and this will keep them in government. 3.Liberal Democrats need to prove that they can not only be a pressure group and a critic but can also help run a government. We need to prove to the Tories that PR doesn't; just work against them. We also need to get in voting reform even if it's really a first step. People do want politicians to work together and they wanted real change let see if they accept it. The coalition will produce better and more though out policy because the parties will have to discuss it and compromise on the more radical right wing ideas or the more radical liberal ideas, thereby producing better policy. Better Tories with the Liberal Democrats then on their own. Especially when a minority would not of help Britain out of this financial crisis. Lets also not forget how illiberal the Labour party was and I for one want to see more Liberal values. This move has taken some nerve on behalf of the both party leaders, but you only make change by taking risks. Something Brown didn't do when he bottled calling an election. Todays link is to Charlotte Gores Blog who blogs about how Labour are blaming the Liberal Democrats on Traitors! Turncoats! Liars! Been quite a day where the Prime Minster resigns and it is not the top story. I think the Liberal Democrats are playing a classic negotiation techniques. They have not got want they want from the Conservative party so now they are playing them off against the Labour party. It's not an easy game any of the parties are playing as they all have something to lose, perhaps none more so than the Liberal Democrats themselves. I hope there can be some kind of a coalition because this would stop a small clique from running a party as they will have to deal with and agree with a wider group. I'm not going to guess what happens next. The Conservatives don't want proportional representation not only because they are worried about having to work within a coalition. The other reason of course is that they fear the centre left ganging up on them in a rainborrow coalition. Labourites forget that the Liberal Democrats are not only socialist with a small 's' but we are also Liberals. This Labour government has been far from liberal. The Conservatives with the Liberal Democrats could fix the police state developments. If the Liberal Democrats always sided with Labour we may as well all join the Labour party. Fact is Labour don't have the same principals as the Liberal Democrats. I'm not even sure if Labour are as progressive as the Lib Dems. So to Liberal Democrats its not quite as easy as lets go with Labour because their more centre left, Conservatives do have there good points for Liberals too. There is another reason to work with the Conservatives. We need to prove to Conservatives that coalisions work and that parties would work with them in a coalision. These would help the tories to fear proportional representation less. Todays link is to Power 2010 who protested outside of the Liberal Democrat meeting on saturday. This weekend will be the hardest weekend every know to Liberal Democrats. Charlotte Gore has blogged about Nick Cleggs impossible position. It is that because Nick Clegg promised the British people that the Liberal Democrats would work with whichever party one the most votes. Liberal Democrats and the Conservatives need to now work together for the good of the country. Of course this means Labour and obose all the various cuts that will be required and in opposition will look like the good guys. I do not think this would split the Liberal Democrat party, some may leave but I think most members will understand. It the Liberal Democrats are to ever become the 2nd rather than 3rd party then we must prove ourselves in government. Liberal England believe that the the Liberal Democrats should accept David Cameron's offer in some form. I agree, this is what the electorate has given us and we have to start somewhere. Labour simply do not have enough votes. I believe that a Conservative and Liberal Democrat government would be better than a Conservative government (I accept that Labour and Conservative supporters would not all agree.). But we have to be realistic, this is that hand we have all been delt so lets get on with it for the sake of Britain. Caron's Musings has details a genuine consultation exercise on how to get your views know to the Liberal Democrat Federal Executiveon the above subject. In the words od Gordon Brown, Nick its time you got real. for once I agree with Brown. Well done to Phillip Lee who becomes the new MP for Bracknell with an increase majority for the Conservatives of 30%. Labour are the only party to lose votes by a massive 11.1% with Liberal Democrats gaining 4.5% and moving into second place. I noticed Tory Landlord has come up with his election prediction. He believes Tories: 36%, Labour: 29%, Lib Dems: 25% Others: 10%. The Conservatives will win the election with a minority government short by say 10 MP's with 37% share of the vote. The Conservatives will not work with the Liberal Democrats and the Liberal Democrats will not work with them due to a disagreement on voting reform. Labour will have an even worse day at the polls then currently predicted and will get 27% share of the vote. Liberal Democrats share will be about 26% and will come third just, Lib Dems will only have about 90 MP's. They will still lose only one seat to the Conservatives. UKIP will win 2 seats including Nigel Farage and the Greens will win 1 seat, Brighton. The BNP will not win in Barking, Labour will. I'm also expect say 2 Independents to win and both nationalist parties to gain a seat each. I think whoever wins the election will become very unpopular very quickly (poison chalices) as all parties said they had no plans to raise VAT the winner would be seen as a liar because the winning party will raise VAT. So to sum up my prediction for the most unpredictable election I have been able to vote in is. Sean Haffey a conservative Councillor on Hart District council who blogs at http://sean-haffey.blogspot.com has written a blog which he calls Three of the Best. Sean has set a challenge based on a Tory/LibDem parliament asking for his readers to choose one policy from the Tories, Libdems and a third from another party. Well I'm going to change the rules. Which policy would you pick from two main parties you don't support and one policy from a smaller party? One from Labour; Well I would of taken the minimum wage but we now have this so im going to go for giving a guarantee of one to one and small group tuition for every child falling behind on their 3R's. Yes I know that schools should not let children fall behind but I do like the sound of this guarantee. Tory Policy; I'm going to go for equalling the number of population to MP's. This may not be one of the most important things but I do believe all constituencies should be the same size in population and not in area. I realise this means some massive areas in Scotland but I think in this age of technology it now makes sense to have a fair number of constituents per MP's. One from the Greens; Sorry my UKIP readers but im going to have to go Green on this one. The Greens have some great policies on housing but many are similar to the Lib Dems so im going to go for The Green Party's plan to fund 2000 Young People's Centres for dedicated spaces for young people to meet. I think we are always treating young people as if we don't want them and I think they respond back to this treatment in a negative way, this plan would help. Of course there are policies in all parties that are the same as the Liberal Democrats such as banning ID cards for Tories or 10,000 allowances for UKIP but that would be cheating if I listed these. They should be policies that your chosen party does not currently have as a policy. Bloggers please feel free to blog yours via an meme or readers please leave your examples in the comments below. Because if there is a hung parliament then we are going to have to agree a little more often. It's easy to be critical, so have a go at agreeing. I recently interviewed Dan Haycocks from the Goodbye Andrew Mackay campaign. He is standing at this election as Scrap Members Allowances which I interviewed him about. The Guardian on Saturday has an interesting little article on the power of election smears. This is in light of the smears by papers on their championed political party rivals such as the Daily Mail's Nazis smear on Nick Clegg. The article examines how much damage a smear actually does. According to studies they found that if a dodgy fact fits with your prejudices then you will believe it and a correction only reinforces your prejudices rather than put them right. So this means that it could persuade people who were moving in a different voting direction back to their original vote. I also believe as some papers appear to, that if you do enough smearing and find enough buttons to press that newspapers can stop people from voting for the rival party. The danger in this negative tactic of manipulating stories could be to stop a voter from voting for anyone including the party the paper supports. So it would appear that smears do reinforce a false believe. 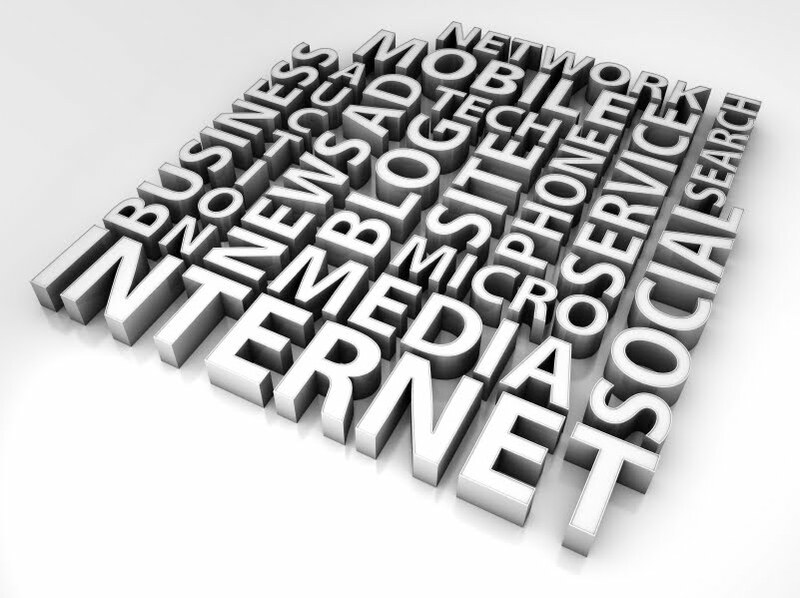 Good job papers become less influential with time and the growth in information technology. Todays link is to Sean Haffey a conservative Councillor in Hart District who asks a challenge, if that came about, which three policies would you like to see the new government implement? I will blog mine later this week. 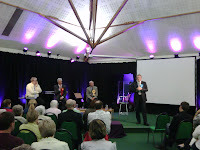 UKIP according to the Bracknell News gate crashed the hustings at the Easthampstead Baptist Church on Tuesday, April 27. The Bracknell Standard has 'UKIP picket over hustings ban'. The 2nd headline was what actually happened. You have to give it to the local UKIP activists they really know how to get a story in the papers. 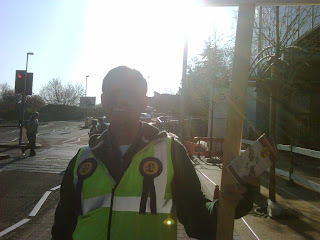 During the week before I also spoke to UKIP PPC Murray Barter who was handing out leaflets at Bracknell train station, he is enjoying the campaign and why shouldn't he it looks like alot of fun. UKIP have some very clever ways of getting their voice heard when only using a small team. Just have a look at the equipment UKIP are getting out of there car. A very impressive collection of pound signs. I popped into the hustings for a short time and a number of UKIP supporters were in attendance along with the BNP candidate Mark Burke who was also in the audience. I was surprised to find out that Mark was once a Conservative member as I personally imagine BNP being a right wing socialist party which is some distance away from the Tories. The event was well run, well attended and candidates all preformed well I thought. So hats of to UKIP and take note, just because a party is not at an event does not stop them from becoming the story and stealing the limelight. Below is a picture of a UKIP activist Jeff Newbold at Bracknell railway station.